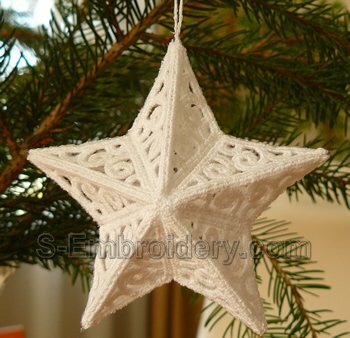 With this freestanding lace machine embroidery design you will easily create a 3D Christmas star ornament. 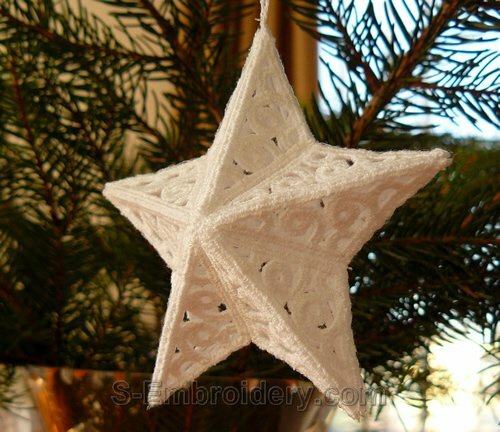 The lace ornament is made up of 2 parts. 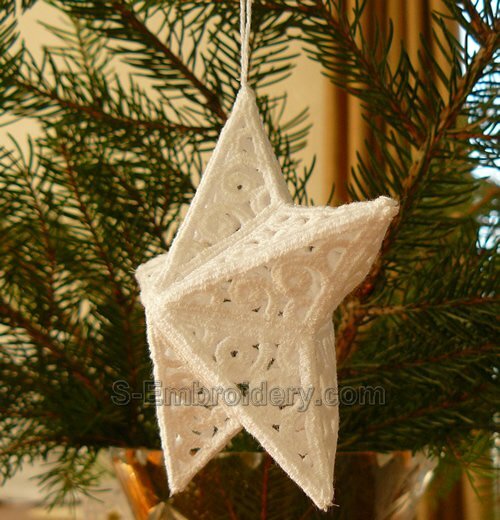 The loop for hanging the ornament is also made in the hoop. 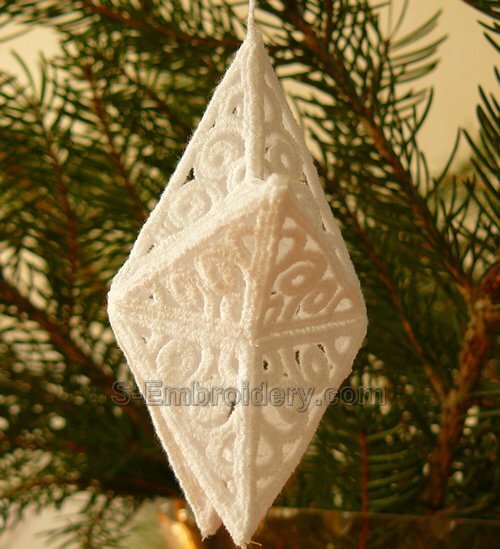 The design comes with instructions for creating the Christmas ornaments.